A group of international rights groups has called on the government of Tajikistan to immediately release a political prisoner that they say is gravely ill and has been subjected to torture. 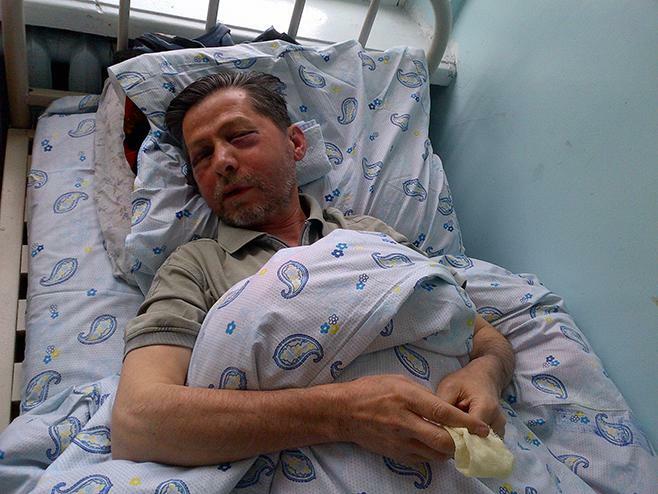 In their March 20 statement, the coalition of rights groups said Mahmadali Hayit, the 62-year-old deputy leader of the banned Islamic Renaissance Party of Tajikistan, or IRPT, was recently beaten by prison officials for refusing to cooperate in filming video messages denouncing his exiled allies. Details of Hayit’s state of health were provided by his wife, Savrinisso Jurabekova, who visited her husband in prison on March 9. The rights coalition, which includes groups like Human Rights Watch, the Norwegian Helsinki Committee and Freedom House, among others, cited Jurabekova as saying that she fears Hayit may die in prison unless he receives proper medical care. “[Hayit] told his wife that he had not reported his treatment earlier because [he] had thought it might be better for him not to speak publicly about it, but he asked her to make it public now because he believes he may not survive another six months if the abuse continues,” the statement noted. Jurabekova also said that her husband is being kept in “tiny, dirty cell” and that prison guards beat him regularly. Hayit named one of his torturers as Nuriddin Rahmon, who was former deputy head of the Justice Ministry-controlled penitentiary system until the middle of last year. Activists have pleaded with the diplomatic community to use its influence to spare Hayit’s suffering. Hayit was arrested in September 2015, a few weeks after an alleged plot coup that authorities claim was mounted by a disaffected deputy defense minister. No independent investigation has ever been held into the purported coup, which authorities were swift to use as a rod with which to beat the IRPT, at the time the only viable opposition force in the country. More than a dozen party leaders were rounded up and then tried in highly secretive court proceedings. Hayit was sentenced to life in prison. Marius Fossum, Central Asia representative of the Norwegian Helsinki Committee, said in the statement that there should be a price for Tajikistan’s unwillingness to abide by its commitments to uphold basic rights. “Tajikistan’s human rights situation has been spiraling downward rapidly, and Washington, Brussels, and all actors should consider enacting targeted punitive measures unless immediate human rights improvements are made,” Fossum said.